Mesalands Community College is now among the best of the best, according to BestColleges.com. 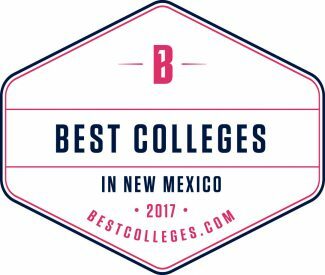 Mesalands was recently ranked the number one community college in the State of New Mexico. This recognition demonstrates the College’s commitment to providing a high-quality and affordable education for their students. “This honor is a reflection of the hard work and dedication of our faculty and staff, in their continued efforts in helping our students succeed,” said Dr. Thomas W. Newsom, President of Mesalands. BestColleges.com evaluated 28 postsecondary institutions in New Mexico, using statistical data from the Integrated Postsecondary Education Data System (IPEDS) and College Navigator, hosted by the National Center for Education Statistics. The colleges were also evaluated on academic quality, affordability, and online competency. Mesalands received a ranking score of 88.22. This score was higher than the top four-year institution in New Mexico, the University of New Mexico with a ranking score of 78.89. BestColleges.com attributed the ranking score to the graduation rate at Mesalands Community College of 32 percent, one of the highest among community colleges in the state. BestColleges.com also mentioned that Mesalands offers associate of arts (AA) and associate of applied science (AAS) degrees in areas such as, farrier science, education, and in paleontology. Certificates are offered in metal casting, pre-nursing, wind energy technology, and much more. Students also gain hands-on experience in their field of interest, whether climbing the College’s 1.5 megawatt wind turbine, or exploring the Mesalands Dinosaur Museum and Natural Sciences Laboratory. Graduates from Mesalands are prepared to immediately enter the workforce or seamlessly transfer to a four-year institution. The article also included some the College’s service and educational programs opened to the community, including a Health and Wellness Facility, the Small Business Development Center (SBDC), and a Pearson VUE authorized testing center.